Hedges are normally used as natural boundaries around houses and various estates. This is exactly why they need to be kept well-cut and shaped, but these procedures could be too hard for a person who does not have the necessary equipment and knowledge how to do it. 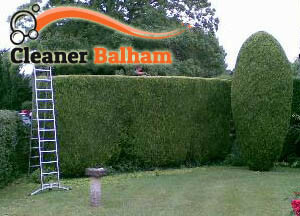 So, you could simply call and book our professional hedge trimming services in Balham that are especially designed to make your garden and yard look presentable. Our services are tailored for all kinds of customers, so we take care of both young and adult hedges, and our experienced gardeners have all the necessary skills and knowledge to do that quickly and professionally. We work only with gardeners who are qualified enough to provide the best results possible quickly and professionally. Our hedge trimming services are provided by highly-motivated and hard-working individuals who are to give their best in order to guarantee maximum satisfaction for the customers without disturbing them in any way. 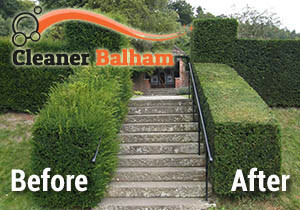 Our gardeners come to your residential or business estate in SW12 Balham with professional equipment to take care of the cutting and trimming of your hedge and bushes. In addition, they always take into consideration the clients’ requirements as well as the specific needs of every plant, as different hedge and bushes species require cutting at a certain time of the year. You can contact our customer service agents in SW12 whenever it is convenient for you. We work 24/7, including over the weekends and bank holidays for your comfort and can be reached easily via phone or e-mail. Do not hesitate any more – call and book your hedge trimming service now!